They are the fittest team in the division and their high pressing unnerves opposition defenders into giving the ball away. They have a rock solid defence and are not averse to grinding out results. The team has genuine pace up front and that enables them to make deadly counterattacks. They are well disciplined and every player gives one hundred percent effort. They are dangerous from set pieces, with players who have the skill to curve the ball round defensive walls and score or create opportunities. Goal scoring is deemed as a collective responsibility and players in all outfield positions make a significant contribution over the course of the season. Could this be a description of Uwe Rosler’s promotion-winning Wigan Athletic side, 2014-15? These are early days still. Rosler’s squad building is not yet complete, with three weeks of the transfer window remaining. However, the squad already looks strong, especially in defence. Rosler will be hoping to offload the hapless Grant Holt, to reduce the wage bill and be able to bring in another central striker. In Adam Forshaw he is seeking another creative midfielder to complement Shaun Maloney. Media reports also suggest he is interested in Aston Villa winger, Alexander Tonev. More loan players are also likely to be brought in, with George Saville of Chelsea a clear target. If Rosler spends money on Forshaw and a central striker he is likely to have to offset the costs by pulling in transfer money by letting at least one of his current squad go. Last season’s promotion push stumbled at the playoffs. By then Latics had played an awful lot of games in a short space of time. Despite their tiredness they pushed Queens Park Rangers into extra time of the second match, although in reality they had all but lost their best chance of going t through being unable to find a way past Harry Redknapp’s parked bus at the DW Stadium. That match called for a moment of magic from the likes of Shaun Maloney, Callum McManaman or Nick Powell. Powell’s game had gone off the boil after a mid-season injury and he did not get into the squad for the playoff games. McManaman had had a frustrating season, mired by niggling injuries, and Maloney had not got back to his best after a long spell out through injury. There was little to choose between Latics and QPR last season, but it was the Londoners who went up. Lots of teams came to park their buses at the DW last season and it is likely to be the same scenario this year. However, McManaman is now approaching full fitness and is likely to terrorise Championship team defences in a way that he was infrequently able to do last season. Rosler has carefully nurtured the invaluable Maloney through the pre-season and although he has had no competitive playing time so far he might well appear on the bench against Reading. 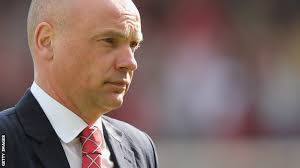 Rosler will continue to use his preferred 4-3-3 and 3-5-2 systems, switching seamlessly between the two. Although the former appears to be his preferred system, he has a large reservoir of fine central defenders he can call on to operate with three at the back. With the 3-5-2 system players like McManaman and James McClean are pushed further inside, as second strikers alongside the centre forward. Rosler likens McClean to a ‘wild horse’, although he clearly has faith in the Irishman. It is to be hoped that Rosler can break-in the wild horse, having him lift his head and look up when going on his marauding runs. McClean and McManaman are players who can cause panic when they run at defences, particularly on the counterattack. Rosler will be confident that his side can mount a strong challenge for promotion this year. He might not have strikers who can score 20 goals a season, but he has a very strong defence, a combative but skilful midfield and exciting forwards. Providing his flair players stay fit, Rosler might well be a Premier League manager in 2015. ← Do Latics really need Adam Forshaw?